As part of the upcoming construction of a new trailhead at the end of Randolph Hill Road which will be completed this year, the Randolph Forest Commission has begun work on a short, one-mile long interpretive trail. Randolph Community Forest Commission member Doug Mayer has been working with local interpretive specialist Nicky Pizzo, to develop the route, which will include a number of stops that are keyed to a simple booklet. Looking towards the wildlife opening, from the Carlton Notch Trail. 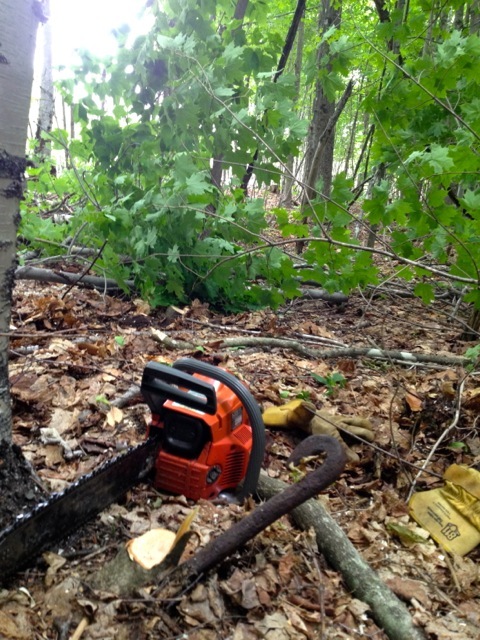 As part of the work, a short connector has just been cut, from the Carlton Notch Trail, to the new wildlife opening. Above is a view of that route, and the wildlife opening in the distance, which has a great view of the mountains to the east. 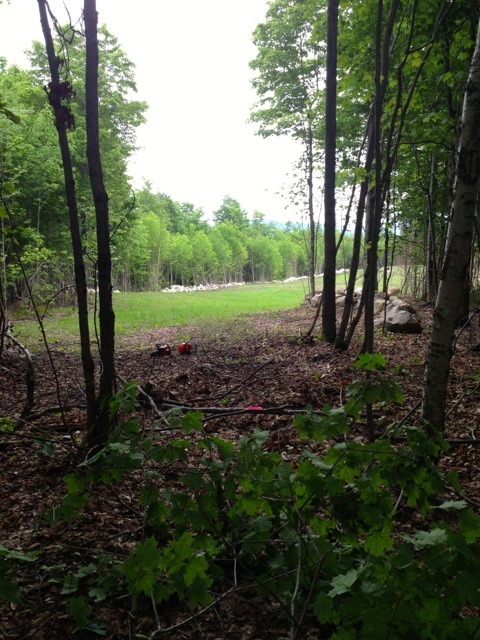 Stay tuned for more news on this educational addition to the Randolph Community Forest, as the summer progresses. Watch where you saw! This buried hook was found next to the new route.